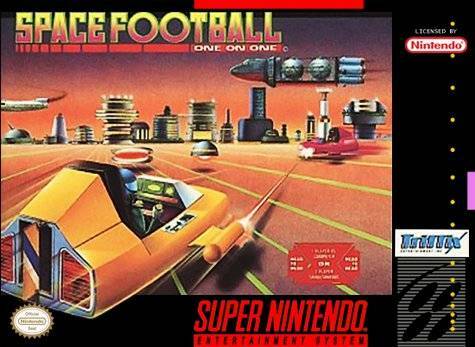 Space Football for Super Nintendo allows you to jump in the cockpit of your RetroGrav hovercraft and prepare yourself for the fastest and scariest game of football you've ever seen. The object of the game is to pick up the roving hoverball and get it into the end zone. Of course, there are plenty of things standing in your way like the magnetic flux that drains your energy, spincycles that twist you out of control, and your fully armed opponent.